Leading figures in the Sheffield City Region have welcomed the move by Westfield Health to establish new offices in the heart of the city following the announcement that its relocation and expansion created 120 construction jobs. A number of local firms played a part in Westfield Health’s redevelopment of the former Milton House on Charter Row, including Sheffield’s JF Finnegan Ltd, Yorkshire Fabrications Ltd and Saxby Surfacing, and Rotherham’s Classic Lifts. 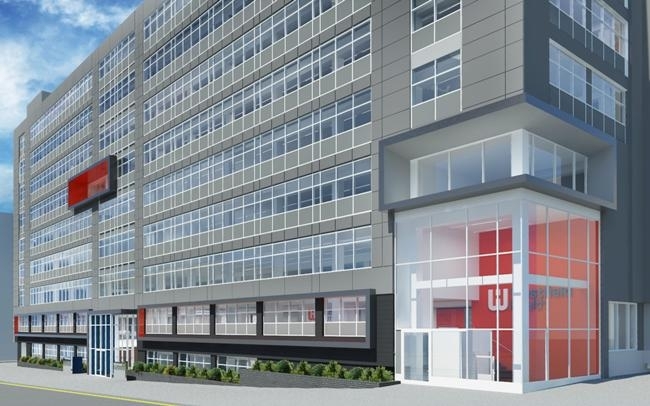 The eight-storey Westfield House – as it will be known – will feature a spacious new Customer Hub, a roof terrace with 360 degree views overlooking the city, and business incubator spaces to support the growth of health and wellbeing start-ups. Deputy leader of Sheffield City Council and Cabinet Member for Business and Economy, Leigh Bramall, welcomed Westfield Health’s move. He said: “This is a very exciting development for Sheffield. The state-of-the-art building will be a huge boost for that part of the city centre, and it’s fantastic to hear how many local companies and construction jobs have been involved in the build. Richard Wright, executive director of the Sheffield Chamber of Commerce, said: “Westfield Health is one of Sheffield’s flagship organisations and it is tremendous that they’re staying and investing in Sheffield.